A complete language solution whatever your level or budget! The ILH experience includes accommodation and all meals, and you will participate fully in your host teacher’s social and family life after class. Most importantly, you will feel part of the family. As you are living in your host teacher’s home and using the language constantly, the learning process continues all day – not just during lessons, but all the time: during meals, on trips and when enjoying activities. The host family is chosen with your interests in mind, and diet or special requests are taken into consideration. Personal attention is guaranteed from start to ﬁnish. Your individually designed course will take into consideration your interests, language needs and personal objectives. Staying in your teacher’s own home and participating in their daily family life immerses you fully in the language you are learning. 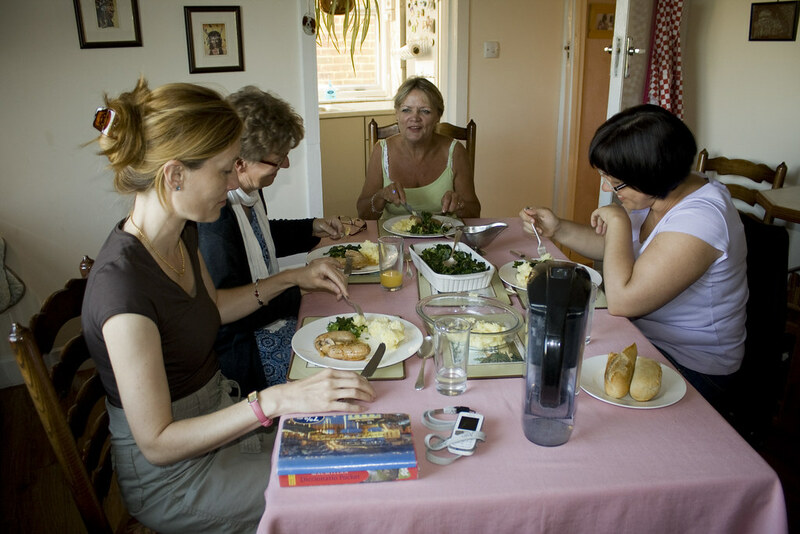 Language practice continues throughout the day: during meals, on trips and when enjoying activities with your hosts. Your language homestay guarantees an eﬀective course as well as an enjoyable and sociable stay. 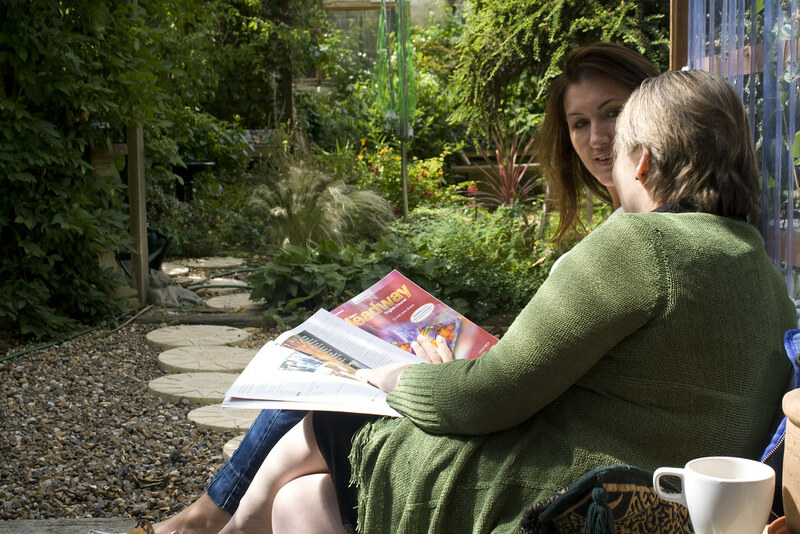 Chosen for their ability to make you feel completely at home, enthusiasm and expertise in giving one-to-one tuition. Your age, interests, personal and language needs are all taken into account by the local organizer when selecting the most suitable host teacher for you. A Private Bathroom is available if you wish and an airport transfer service to/from your host teacher’s home can all be arranged. Your stay will be carefully supervised and supported from start to ﬁnish by the local organizer. They are always available to help you with any questions you have concerning your course or stay. As a Local Organiser, the contact I have with students during their course is one of the most rewarding aspects of my job. All rightly enthuse about the beauty of the South East, not only because of the countryside but also because of the range of things to do and see. This lovely county is a favourite for its historical links, cultural and shopping opportunities and also its seaside towns. With much improved transport links throughout the area, access to London has become much easier. Living at your teacher’s home in the South of France, in the Provence area, on the Côte d’Azur or in Languedoc Roussillon. What better language holiday could one dream of!! Nice, Aix en Provence, the little towns in the heart of the Provence are charming lifestyle under blue sky, Montpellier is the favorite City of the French, Avignon, Nimes or Grasse. Our families, apart from teaching you French, will give you possibility of discovering French cooking, They’ll introduce you into the cultural aspect of our beautiful country, they’ll offer you lots of their time to visit great places, have a social life and become friends with you. Madrid, with it’s vibrant cultural life, is a fantastic city. As we say, ‘de Madrid al Cielo’! The centre contains incomparable architectural treasures and a huge choice of things to do and places to visit. In Madrid we speak standard Spanish. It is my job to offer the most suitable host teacher for each student. 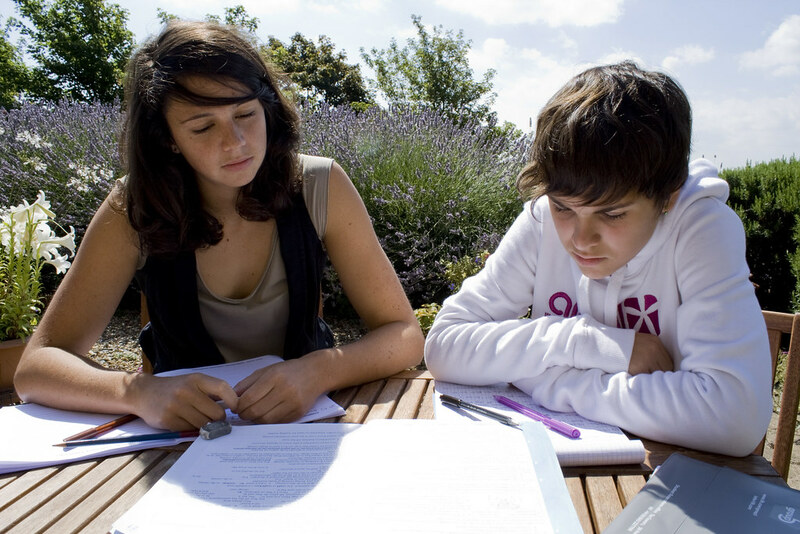 I am very aware that the wellbeing of the student contributes greatly to getting the most out of his or her course. Sydney is Australia’s largest city and its suburbs are located around one of the world’s most natural harbours. Some well known images of Sydney include the Opera House, Harbour Bridge and the spectacular beaches. It is the relaxed lifestyle, the warm summers and mild winters that make Sydney an ideal place to visit and study English. It is also a metropolis of many cultures and offers a variety of shopping, international cuisine and world class entertainment. Liz and Gary Astill have been living on Vancouver Island just opposite Vancouver since 1995 after moving from England. Vancouver is a great city sitting between mountains and the Pacific Ocean. The surrounding scenery is stunning and the summers are hot, blue and full of sailing, kayaking, hiking and all things outdoorsy. The island has a much slower West Coast vibe and students who come from Asia really appreciate this mix. The San Francisco Bay Area attracts visitors from around the world certainly because of its natural beauty, cultural diversity, and proximity to coastal areas, beaches, mountains and renowned national parks, such as Yosemite. The cities of San Francisco and Berkeley offer a remarkable variety of cultural and recreational activities, which include music venues, theatre, cinema and quality art museums. For those who enjoy sports, from golf and tennis to kayaking and sailing, the choice is wide open. For local sight seeing, The Golden Gate Bridge and Park, Fisherman’s Wharf, North Beach and China Town are near by. International Language Homestay students will enjoy an unforgettable visit and learning experience! Our expert teachers are all supported by highly qualified academic managers, who give in-house training, provide suitable course materials and closely monitor teaching quality. ILH is the largest and most professional language homestays organization in the world, whose founder established this original approach to language learning in the early 1980’s. Today no-one has more experience in this specialist form of language training. ILH is a member of ABLS (The Association of British Language Schools) and is accredited by The Accreditation Body for Language Services. Click here to see what our students think about us.